There could be worst places to become stuck on land while waiting for the weather to become paddler friendly again. 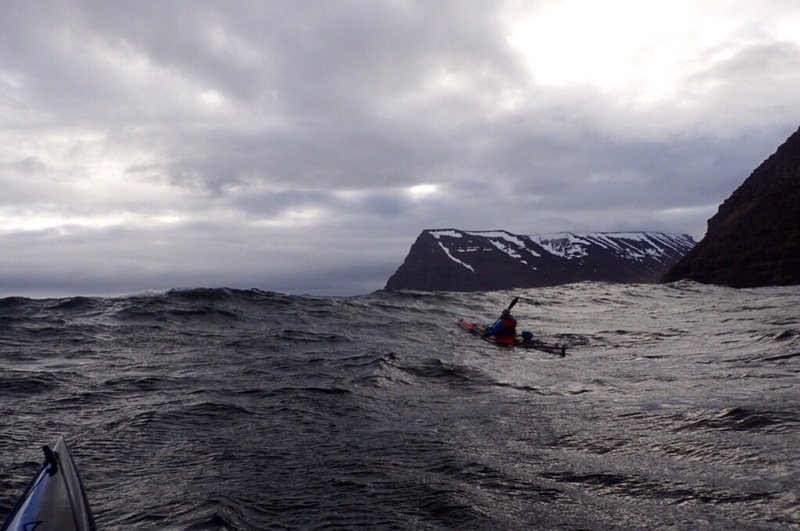 We had an opportunity to see Skalavik before arriving here by kayaks. We have been land bound for a while now. First it was in Sudureyri. We did not mind really as it allowed us time to shop and sort out few things without really loosing valuable paddling time. 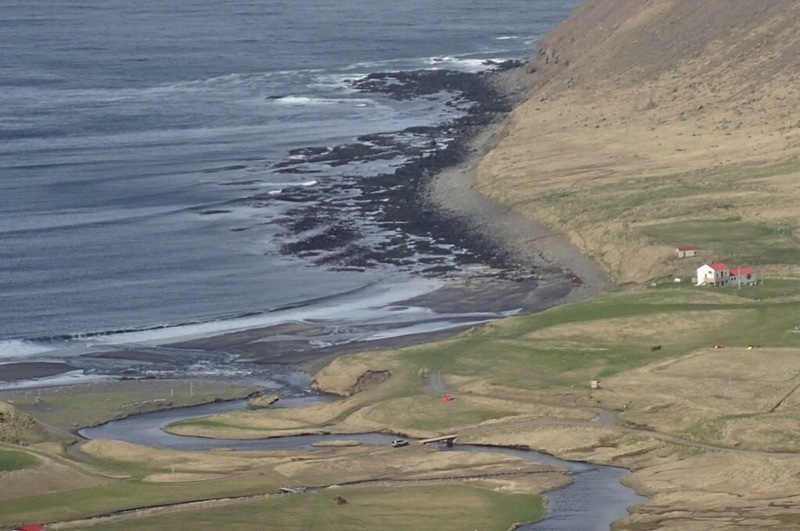 Suduryeri is close to main road to Isajfordur, where the shops are. So for one day, we became tourists. 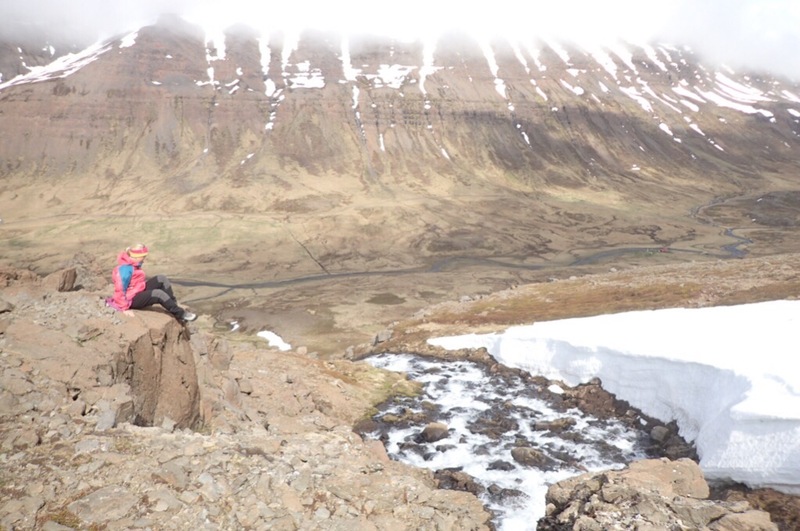 Isafjordur looks great, town once, rich due to fishing trade, has now become an outdoor sport heaven for hiking, skiing, kayaking, and so on. On the journey back, on the bus this time, we also continued in the attempt to sort out our unreliable SPOT. Unfortunately the company has not been very helpful, once they could not blame it on us using the wrong batteries, we don’t, just the correct lithium ones, they tried to pin it down to cold weather. They realised we were in Iceland, and probably thought, it must be same as the arctic. Now, when we made it clear to them, that it has not been that cold, and surely ten degree Celsius cannot be that cold, they decided that our device was too old, and they can not help us at all. We will be looking for new options once we can, but now we needed to sort this one out. 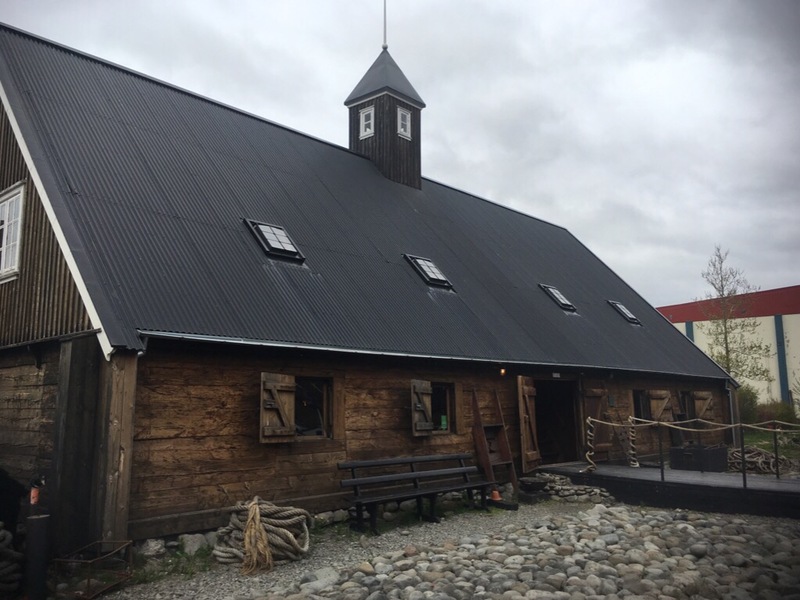 With the help of social media, the Icelanders, and especially Gudni Pall Viktorsson came up with a plan. And so while we were soaking the stress away in the local heated swimming pool it was sorted. In the evening Maggi visited us, and kindly brought us his device, same as ours, and allowed us to change it to our account. 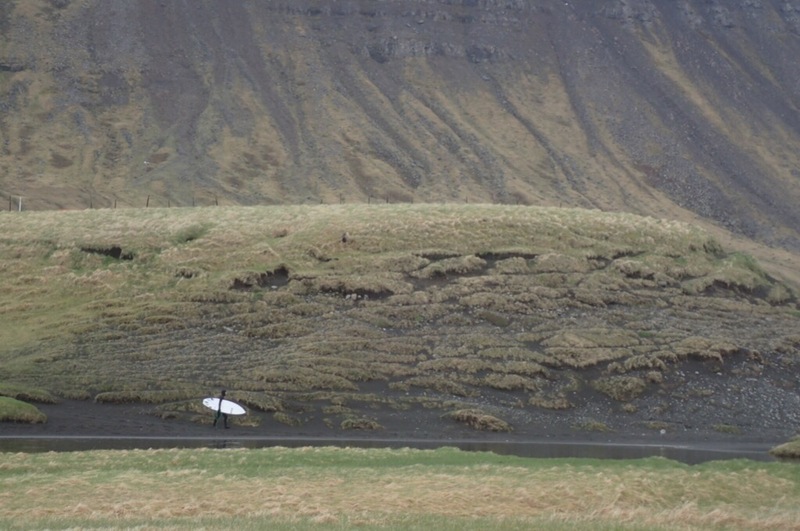 Then he took us for a ride to Skalavík. 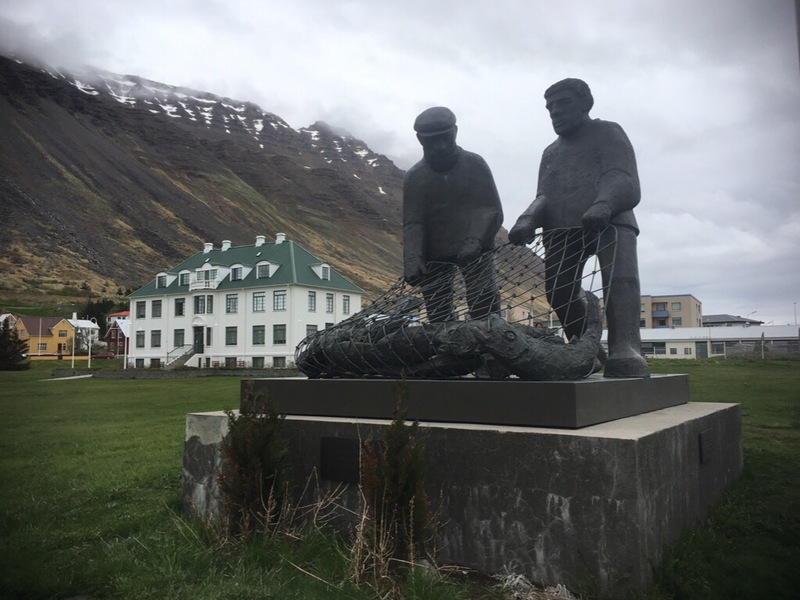 And Skalavík is where we are now. This time we arrived here by sea. To be able to leave Sudureyri and to paddle within the slight weather windows, we had to get up early and start going by 4.30am. Amazingly the staff in the guest house got up as well and made us breakfast, we even had waffles. I think it was their power that got me pushing against the solid F5 with occasional F6 past the headlands through the big seas into the bay. We arrived by 7am. After setting up the camp , sleeping and waking up again, the day has been great. It was sunny and warm so we took a walk around. It is important to get a good view on our surroundings, as we will be here for a while. The forecast is still too windy to make a move. And today, Saturday, has been rainy as well. Never mind, even if we are in a fairly remote place, the road here has opened few days ago, and brings different entertainment every so often.